Nutty, salty, and sweet, this hearty salad is best with apples that soften when cooked but still hold their shape. 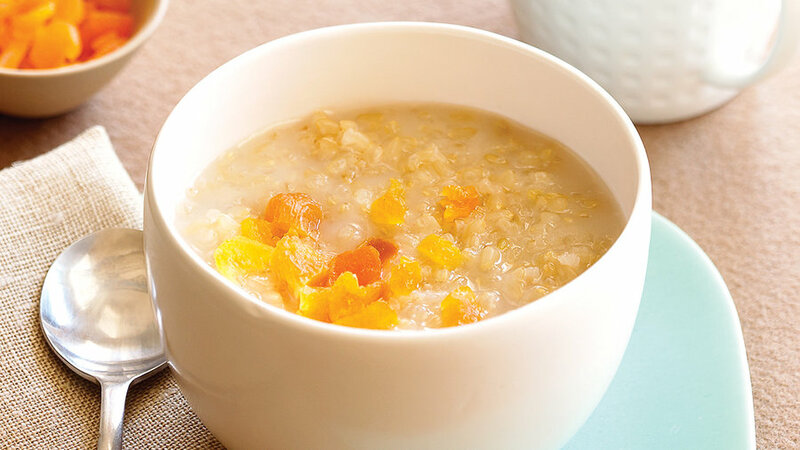 Imagine a classic Asian-style rice bowl, but with a risotto-like blend of millet and amaranth as the base. 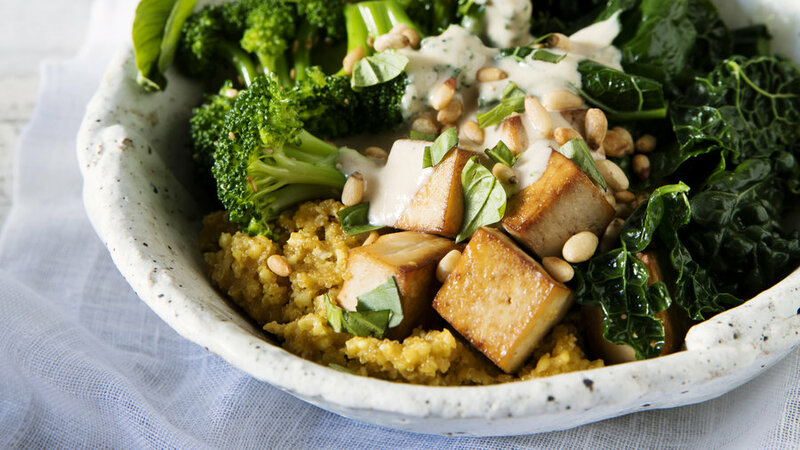 At Vital Root in Denver, chef-owner Justin Cucci tops the grains with loads of vegetables and tofu, then drizzles on a silky tahini sauce. 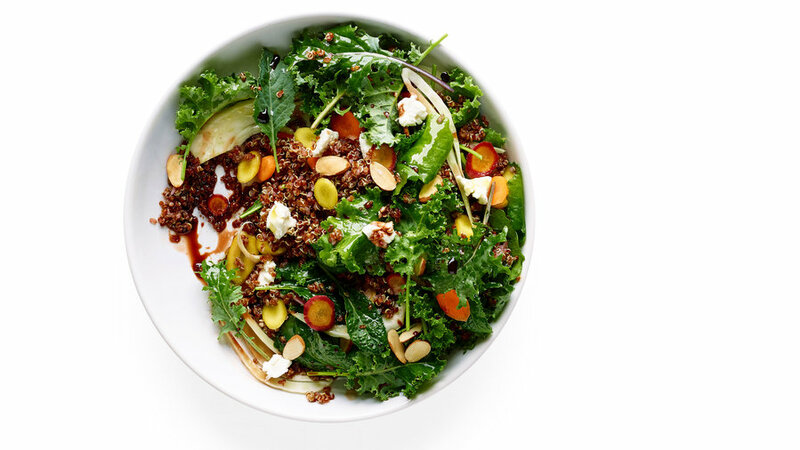 Kris Tominaga serves this dramatic salad at Cadet restaurant in Santa Monica. 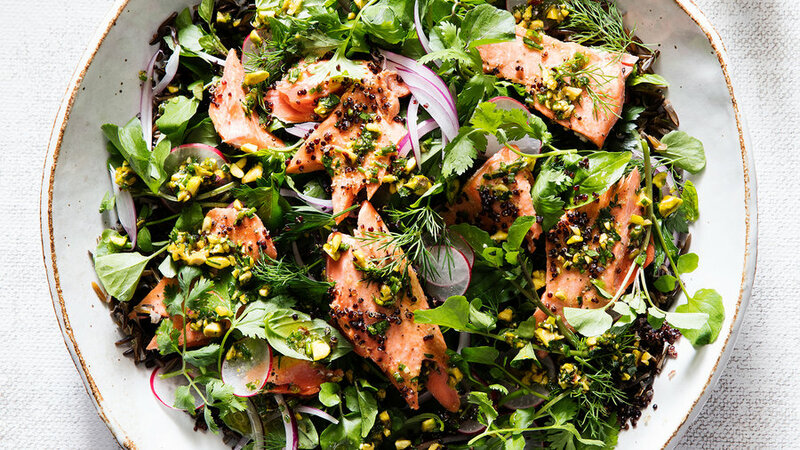 Wild rice and black quinoa (the quinoa fried until crunchy) form a backdrop for colorful greens and salmon. In winter, frozen sockeye salmon is an excellent choice. We adapted this recipe from a forthcoming book on vegetables (Artisan, 2017) by Joshua McFadden, chef and vegetable whisperer at Ava Gene’s in Portland. Creating fluffy ribbons of collard greens is easy when you roll the leaves and slice them crosswise. 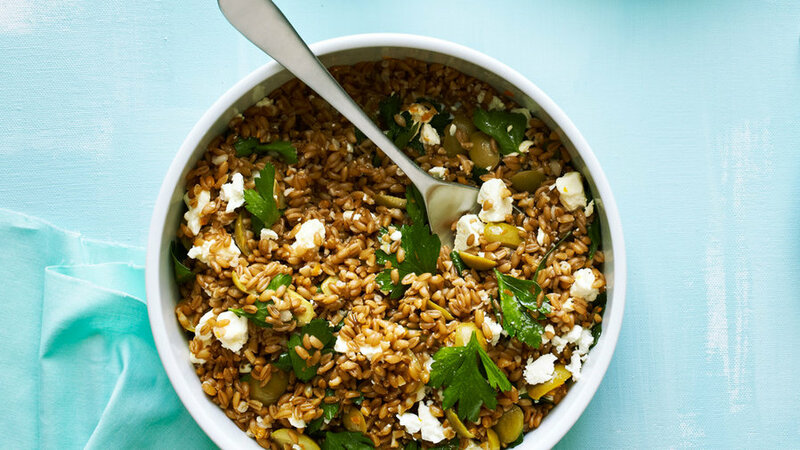 Buckwheat, a hugely popular grain in Eastern Europe, makes a fantastic wintertime salad. 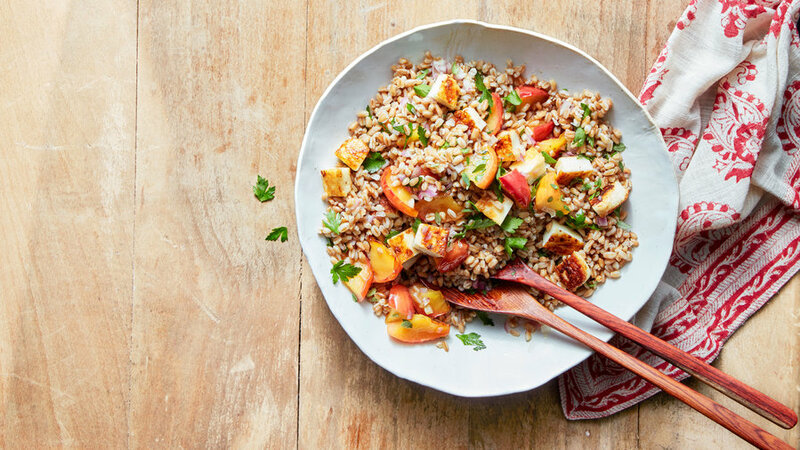 Its sweet earthiness links right into the roasted shallots, and the sweet-tangy apples and slightly bitter radicchio give layers of flavor and texture to the dish. 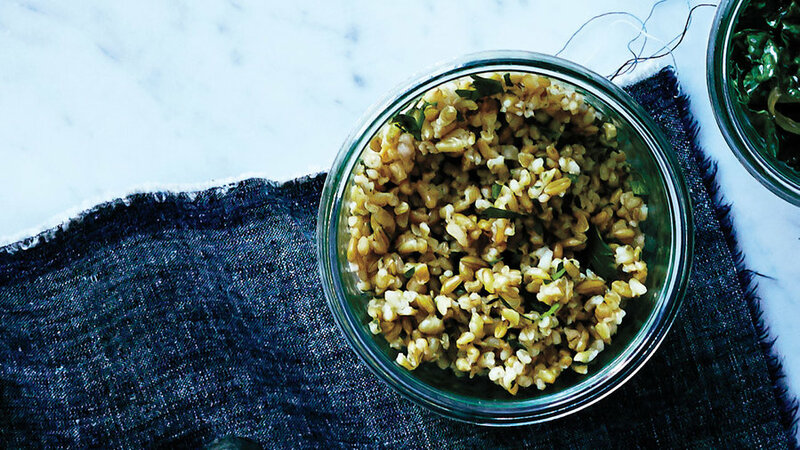 Middle Eastern freekeh has a sweet-smoky flavor and a juicy, chewy texture. 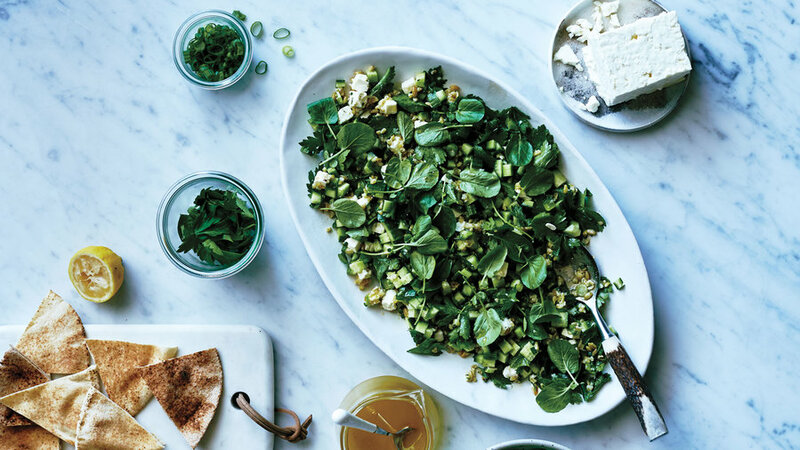 It’s delicious in burgers, with lentils, and strewn over salads—as is, or fried until crisp. 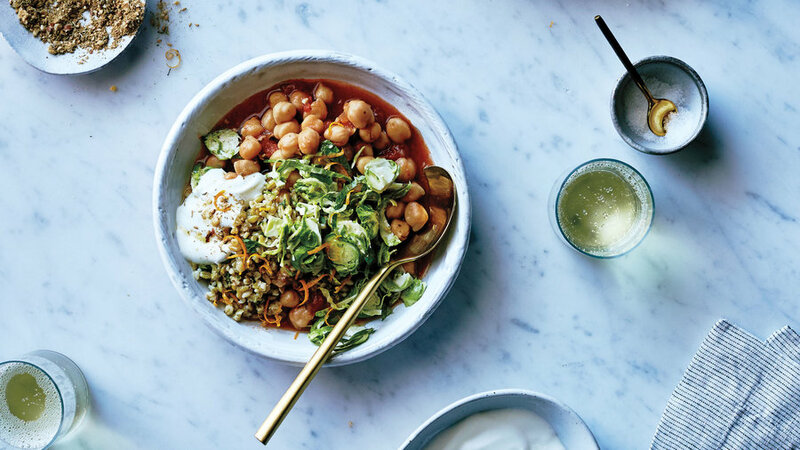 You can use store-bought vegetable broth, but for exceptional flavor, it’s worth it to make your own (find our Hearty Vegetable Broth recipe at sunset.com). 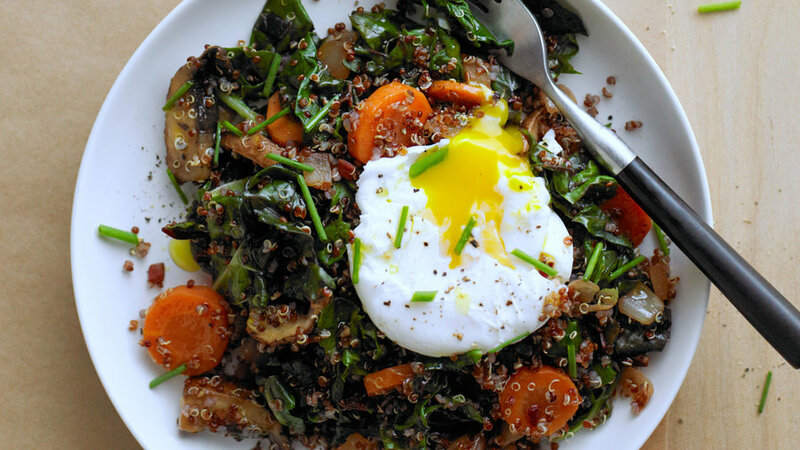 Technically a seed (so no gluten), quinoa is touted as a superfood for its high fiber and protein. 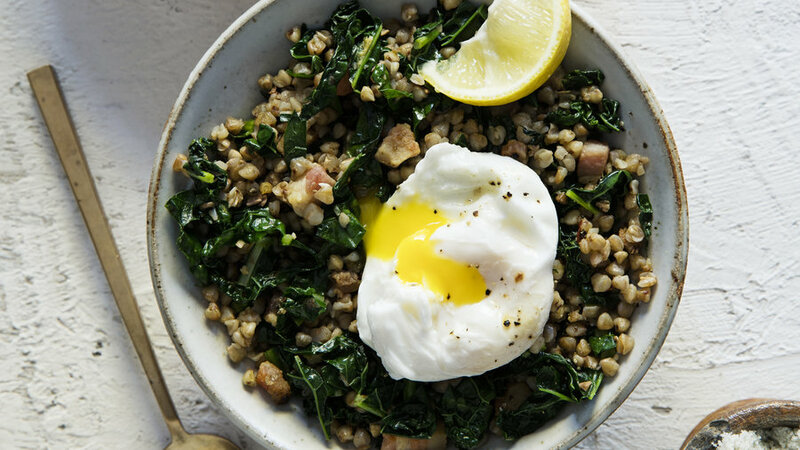 The runny yolk of a poached egg creates a little sauce on top. Have you ever made grape leaves stuffed with rice, nuts, and seasonings, Middle Eastern style? They're wonderful, but they are time-consuming to make. 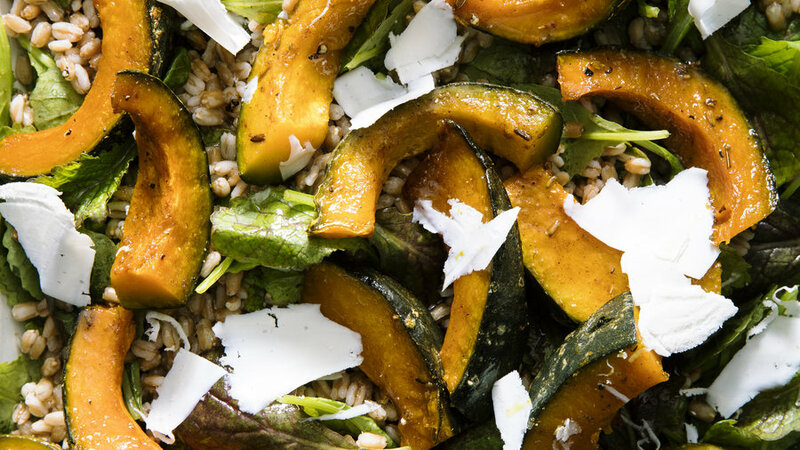 This recipe is a terrific fast take on those flavors—and has the health benefits of whole-grain farro, too. 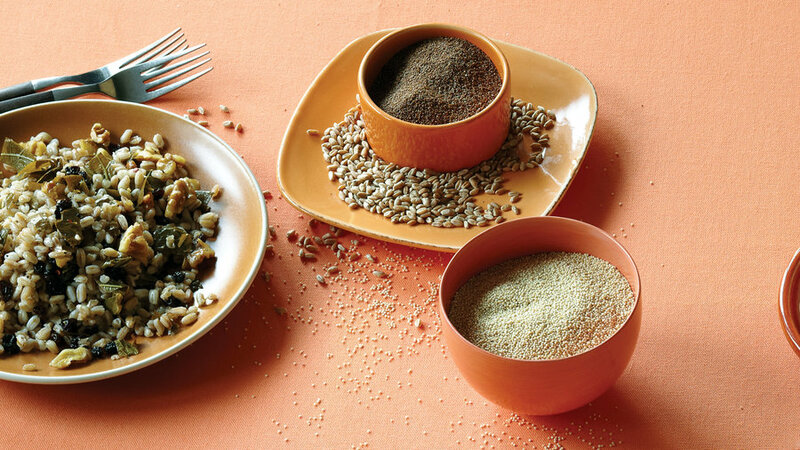 No longer the grainy, crumbly stuff of years past, whole-grain pastas have a toothsome texture and pleasantly nutty flavor, and they're sold in most supermarkets. 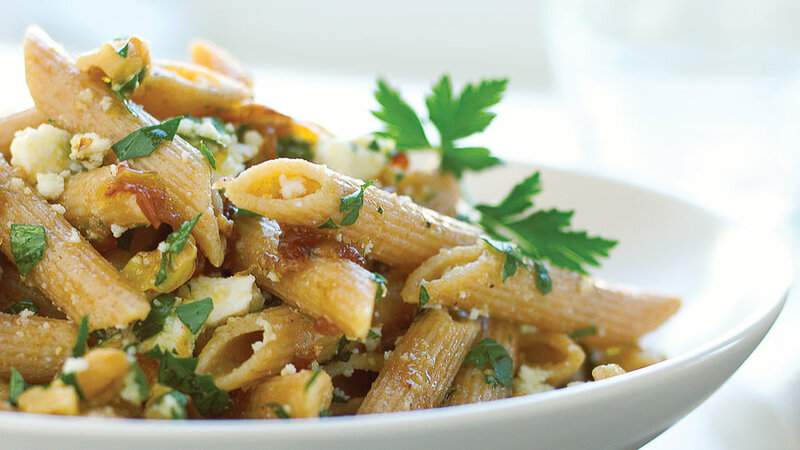 Penne is one of our favorites; its little ridges have a way of trapping the light lemon and olive oil dressing and crumbles of cheese. 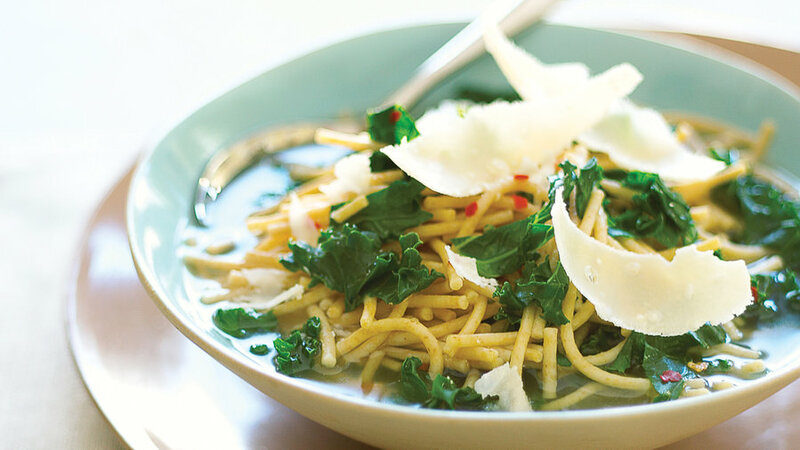 A simple, excellent, healthy soup for a weeknight. You'll feel like your mama is cooking for you. 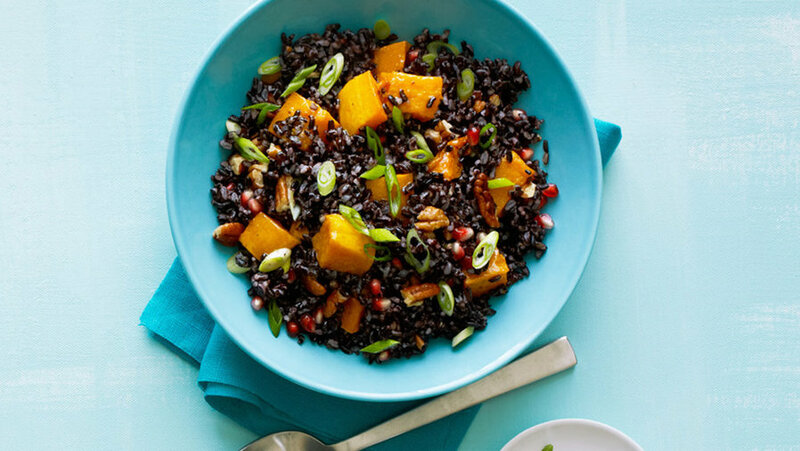 Brown rice is rice that hasn't been messed with. Any type of white rice―long-grain, short-grain, basmati―begins as brown rice, which means its outer layer of bran has not yet been removed. 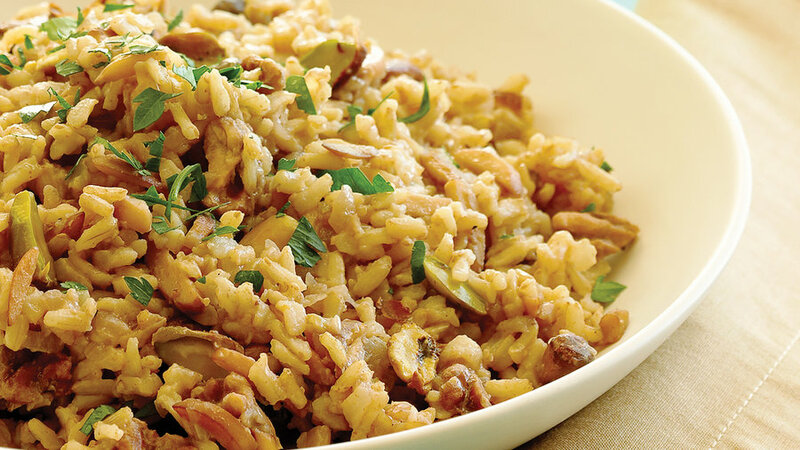 This pilaf, made with long-grain brown rice, three kinds of nuts, and Indian spices, is a healthy recipe you'll return to often. There’s no reason you have to eat mediocre food while you’re camping. 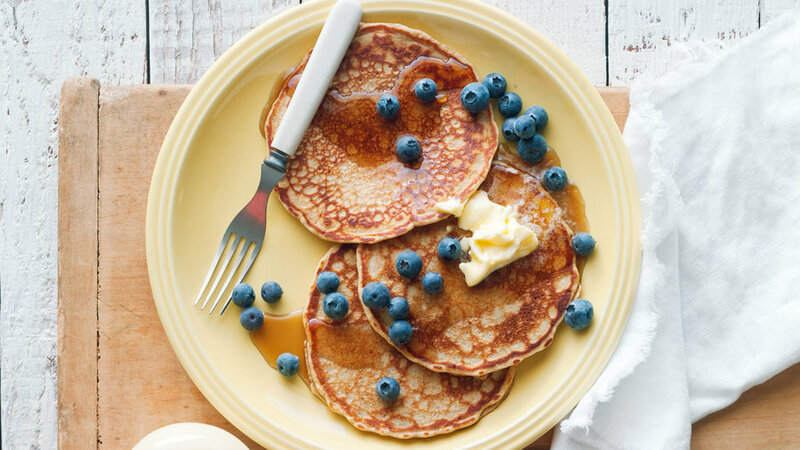 Take these pancakes, for instance: they have whole-wheat flour, wheat germ, and wheat bran; they’re tender and fragrant; and you can pack the dry mix and just add eggs and oil at the site. Of course, they’re great at home too.